**Actual photos** move in ready!! Dream finders homes newest community in the heart of ponte vedra! Only minutes from the beach, seconds to butler blvd and in the st johns county school district! 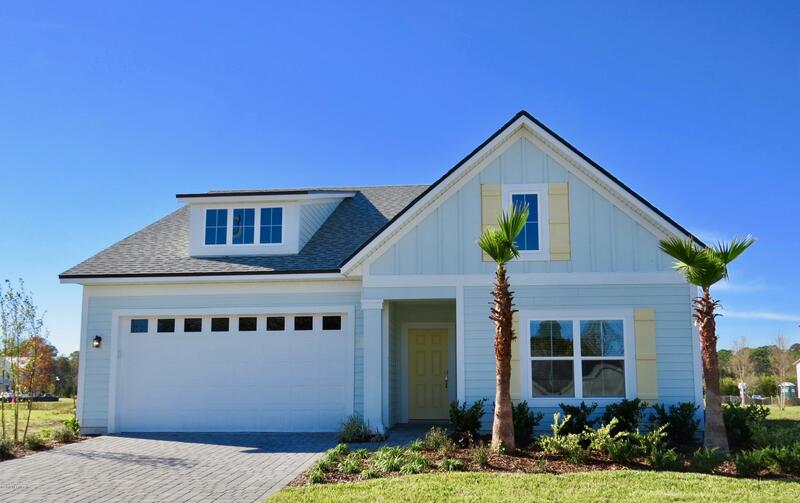 The community features coastal architectural style homes with lap siding. The amelia ii a offers open kitchen to great room, white kitchen cabinets, quartz counter-tops, farm house sink,1st floor master, 2nd floor game room, bedroom & bath, tile floor in the main living areas, tray ceiling in the great room, pavers in front entrance, & patio/lanai, frame-less master shower with tile surrounding to ceiling , includes washer/dryer & covered lanai overlooking water. For more information or make an appointment to see property ID 940881.